Doesn’t your practice of eating between 6 AM and 2 PM interfere with the “natural” period of cleansing? It would seem—in theory—that eating between noon and 8 PM would better follow the cycle. My answer: I am aware of the three 8-hour periods that some call the “natural body cycles.” Many sources connect these divisions with circadian rhythms. However, something bothers me greatly about this system of cycles. It is not that I want to show that someone else is wrong and I am right. I simply want to share with you my thoughts and let you sort it out for yourself. Any physiology book will tell you that digestion is the process by which food and drink are broken down into their smallest parts so that the body can use them to nourish cells and provide energy. Open mouth…insert food…digestion begins. The process of digestion begins with mixing food with the digestive juices, moving it through the digestive tract, and breaking down larger molecules of food into smaller molecules. Obviously, digestion is directly connected to food consumption. In fact, it follows it. Next comes assimilation. One medical dictionary defines assimilation in this way: to consume and incorporate nutrients into the body after digestion, to transform food into living tissue by the process of anabolism. As you can see, assimilation comes immediately after digestion, and digestion begins immediately after food intake. Therefore, you have digestion and assimilation taking place whenever you eat. Most people eat their biggest “traditional meals” of lunch and dinner are eaten between 12:00 PM and 8:00 PM. Therefore the body has entered digestion mode. The next step is obviously assimilation. Then cleansing. Obviously, traditional mealtimes were used to approximate the division into the three periods (digestion, assimilation, cleansing). These conclusions were derived empirically, observing people who ate the traditional three meals. Now, if we use this division to decide the best times to eat, we’ll be indulging a glaring example of circular reasoning, or assuming something, then “proving” from it the very thing that you’ve assumed! Circular reasoning is one of the classic fallacies of informal logic. Lets take a look at our situation again: We eat at certain time of the day and notice that digestion occurs between 12 PM and 8 PM. Then we leap to the conclusion that, because digestion happens between 12 PM and 8 PM, this interval must be the best time to eat. Here you are: the circle is complete. Back to digestion and the best times for meals…First of all, any strict division of the processes of digestion, assimilation, and cleansing is artificial and arbitrary. If you eat your meal at the traditional 6 or 7 PM, your body will then enter digestion mode. Guess what? When you eat at, say, 10 at night your body still digests your food. Your stomach is not going to tell you: No, I’ll wait till tomorrow when you are supposed to eat—that food’s just going to sit right there till I’m good and ready. Your body is not a school cafeteria that allows you to eat only at certain times. It isn’t McDonald’s, which quits serving breakfast at 10:00 AM. 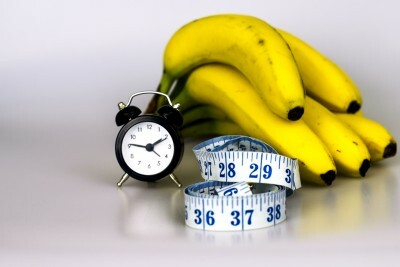 You put in food, any time of day or night, and your digestive system kicks into play and does its thing. Now let us discuss cleansing or detoxification. Metabolism is the set of chemical reactions that occur in living organisms in order to maintain life. Metabolism is detoxification and assimilation. These processes allow organisms to grow and reproduce, maintain their structures, and respond to their environments. 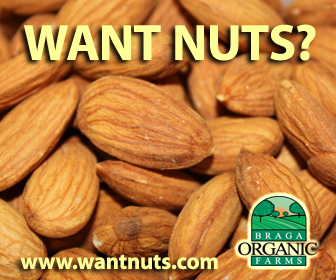 Even though Natural Hygienists do not recommend a 100 % raw food diet, they have made many brilliant discoveries and observations. For example: When we stop eating and just take water for a while, the body's main energy burden—digestion and assimilation—is suddenly relieved. So when the body doesn't have to expend all that energy digesting and assimilating, it's now freed up to expend energy in other needed directions, such as cleansing and re-organizing. Again, your food intake determines what your body will be doing: digesting or cleansing. Circadian rhythms, on the other hand, do not depend on food intake. 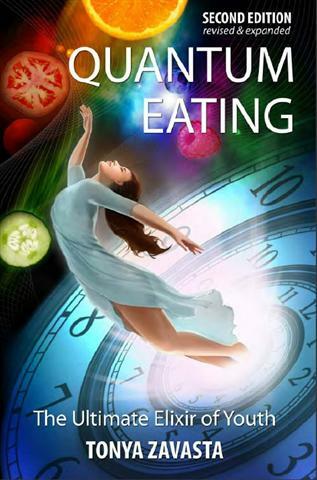 For more information about circadian rhythms that regulate our body read my book Quantum Eating.